In a medium bowl, whisk the vinegar, sugar, fish sauce and chili-garlic sauce until the sugar dissolves. 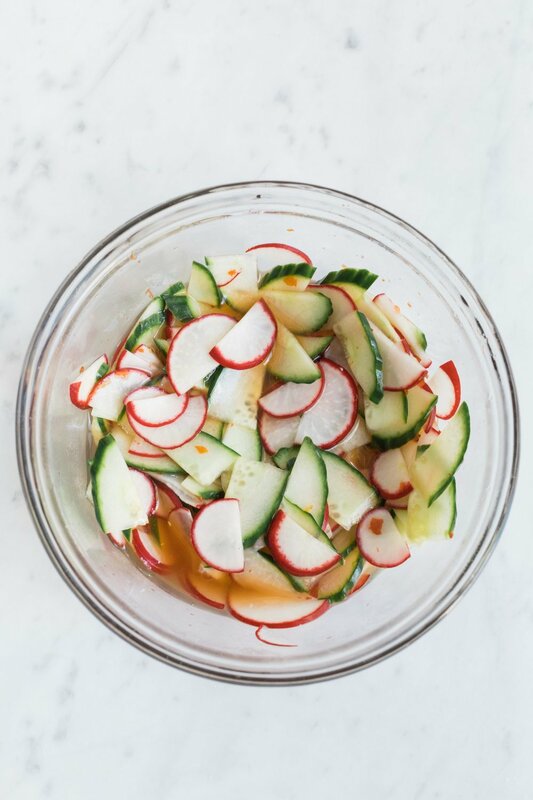 Stir in the radishes and cucumber. Cover and refrigerate for at least 30 minutes, or up to 24 hours.